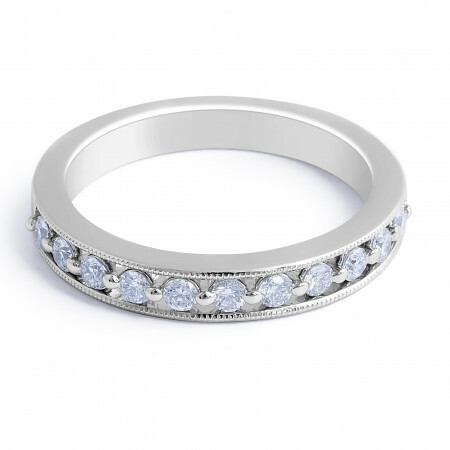 This gorgeous vintage style18K white gold diamond wedding band has 11 round diamonds totalling 0.31 carat in a share prong setting setting. The intricate design has the diamonds set so that they appear to be floating. 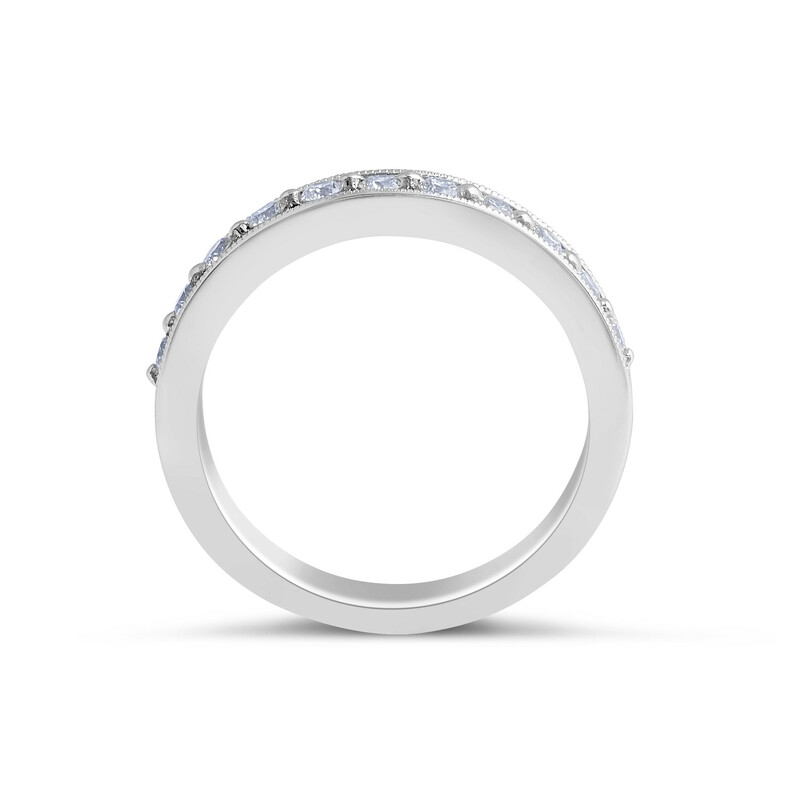 The ring suits a woman who loves details and appreciates a beautiful view of diamonds. 18 Karat Diamond Wedding Band in a Share Prong Setting 11 Round Brilliant Cut Diamonds Total 0.31 Carat .Gold weight: 3.78 g.